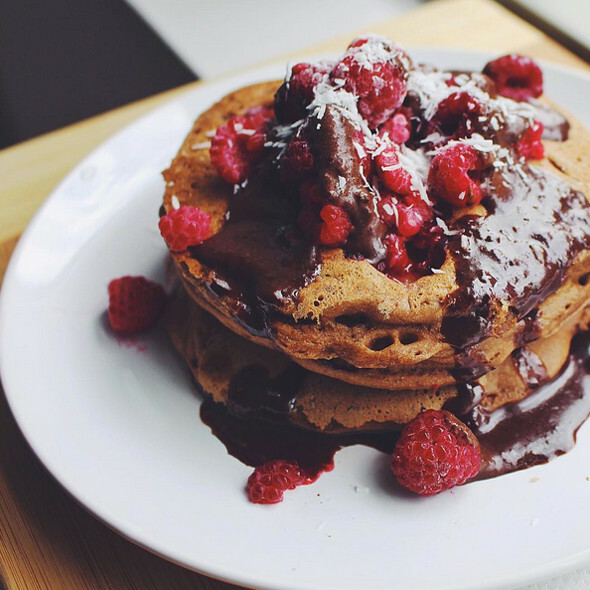 Vegan Instagram accounts from Toronto are some of the most popular out there. 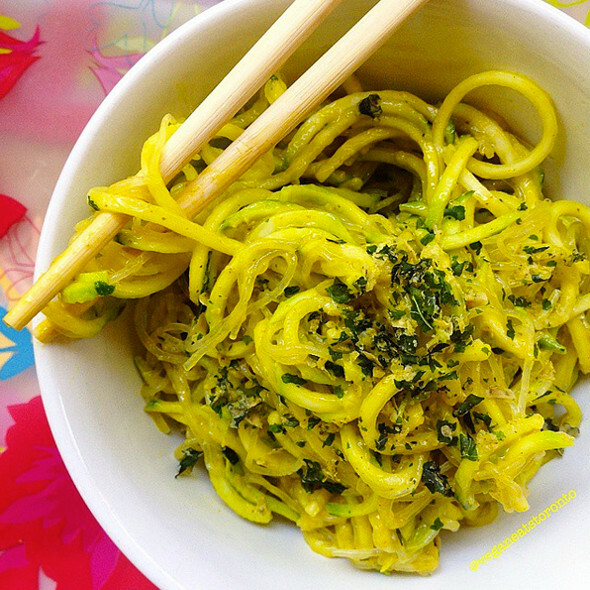 From recipe gurus to restaurant-goers who will guide you to the best plant-based eateries in the city, these users bring #foodporn to new and healthy levels. Here are a few Instagram must-follow accounts for Toronto vegans. Amanda Lynn fashions some of the prettiest plant-based plates right in her home kitchen and snaps pics for the world to see. Her account also features vegan fare from well-loved Toronto eateries like Wilbur and Pizza Libretto to give you inspiration for your next meal out. Most Toronto vegans are well aware of the name Doug McNish due to the success of his plant-based eatery, Doug's Public Kitchen near Eglinton West. 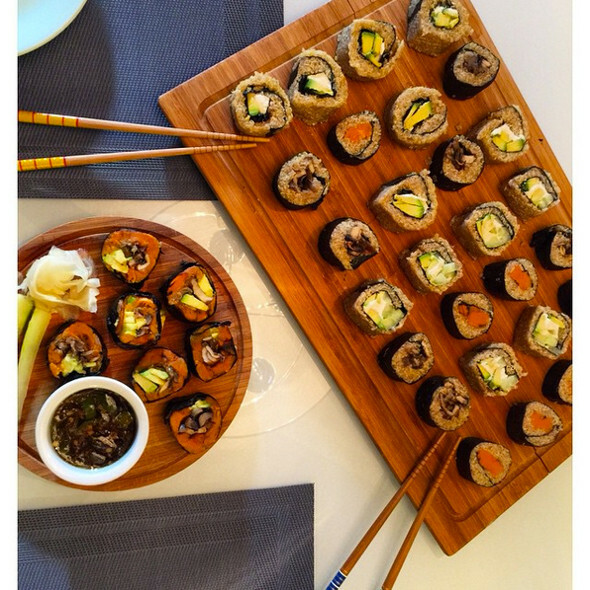 His Instragram, unsurprisingly, flaunts some of the best looking food you'll find on the internet. The feed is filled with parfaits, tostadas, salads, and a bevy of other masterfully-crafted dishes. Hot for Food, run by John Diemer and MuchMusic VJ Lauren Toyota, is stacked with creative plant-based options like asian noodle salad and baked falafel sliders. 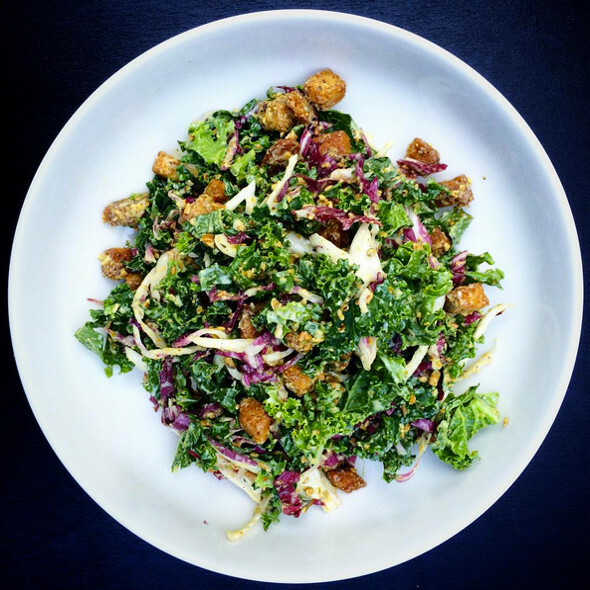 Offering meal pics that are far more interesting than your average kale salad, this one is worth a follow. Check out the duo's blog and youtube channel for more. Vegan Girlfriend is the brainchild of Toronto-based foodies Megan Stulberg, Alexandra Courts, and Aine Davis. 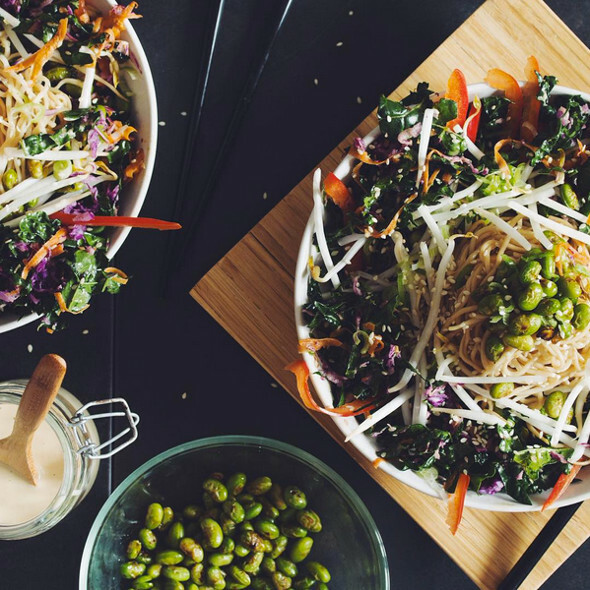 The aesthetically-pleasing feed will clue you in on where to get the best vegan eats in the city and give you a ton of recipes to try at home along the way. Expect to find everything from jackfruit tacos to drool-worthy donuts. Check out its parent blog here. Carly's feed is a well-curated mix of dishes ranging from sweet to savoury. You'll find it filled with colourful plates stacked with seasonal fruits and veggies. Plus, her attention to detail is akin to that of a seasoned food stylist. This U of T student is eating anything but the typical diet of Kraft Dinner and pub grub. 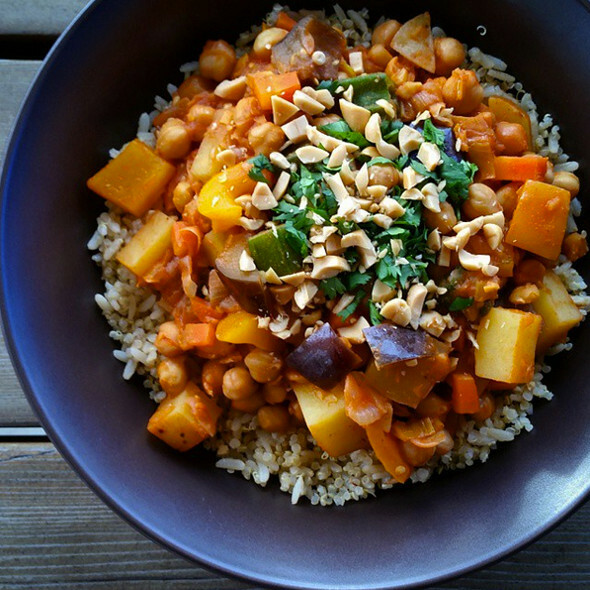 Her profile showcases the versatility of veganism, with eats like oven baked taro chips, chickpea curry and buffalo cauliflower "wings." 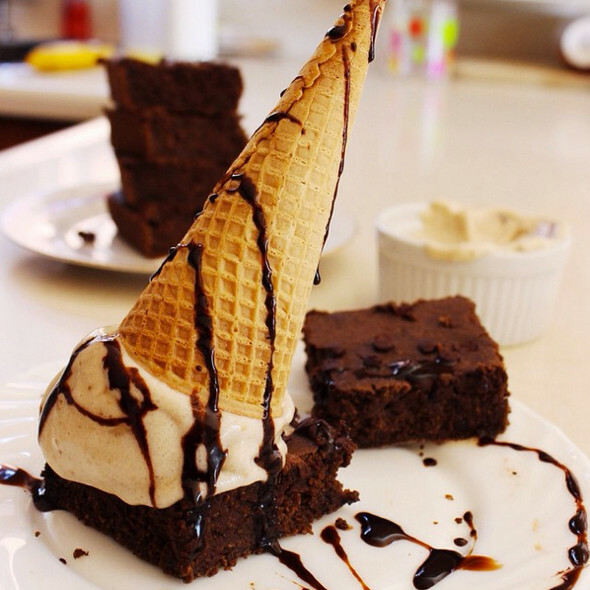 If you have a sweet tooth, you need this Instagram in your life. 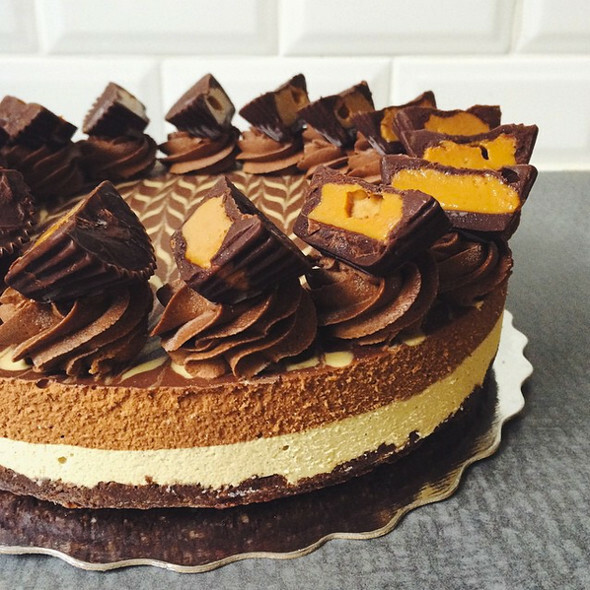 The feed is chock full of hand-crafted raw, vegan cheesecakes, cupcakes, and tarts. Luckily, you can get your hands on some of these treats by heading to Marvel Coffee on the Danforth. 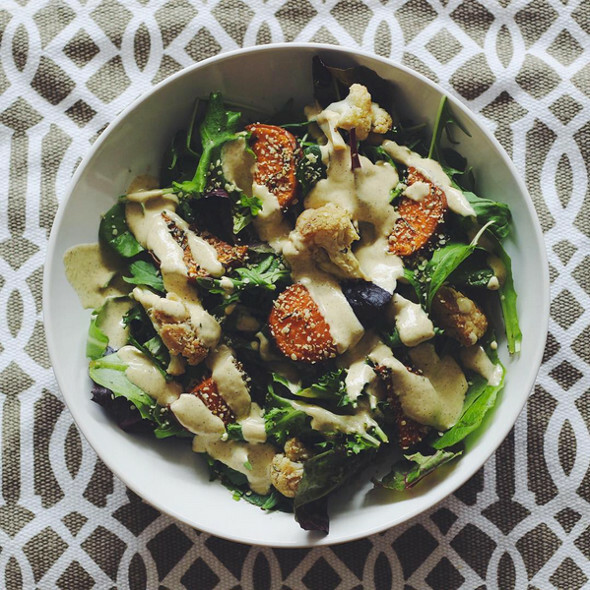 Run by Ashley SauvĂŠ, a nutritionist and wellness chef, this salad-heavy feed will have you wanting to eat your greens. Find the profile filled with immune-boosting eats like nori wraps, green smoothies, and veggie-packed bowls. 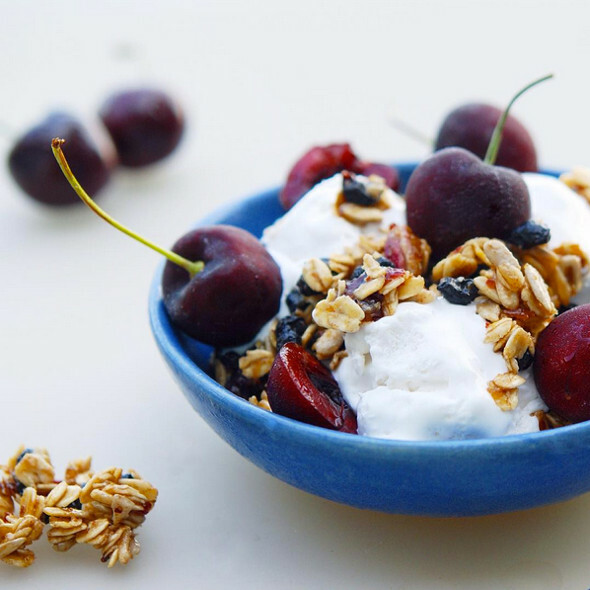 Check out her recipe blog, Kitchen Nutrition, for more. Katrina has one of the biggest followings when it comes to Toronto vegan food Instagrams, with a whopping 56.1k fans. Her feed proves that vegans eat more than just vegetables, with sweet treats like donuts and ice cream appearing in abundance. She also runs a food and lifestyle blog, Mindfully Bliss. 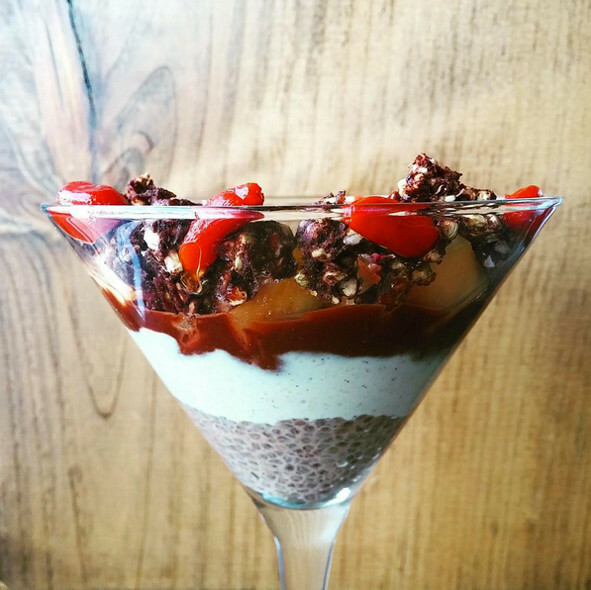 Look forward to salads, sushi, and smoothie bowls on your feed if you follow lovewildlivefree. 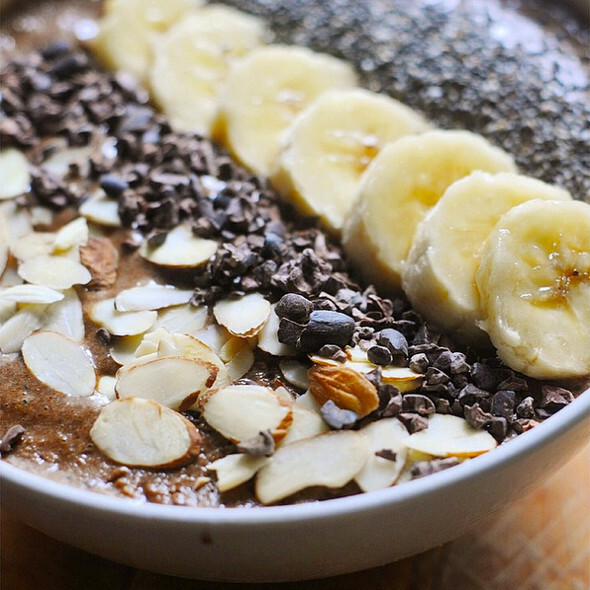 Her profile is peppered with healthy eats that look almost too good too eat. For more lifestyle and food advice, check out her blog by the same name. This account posts a little bit of everything: recipes, reviews, and tips. You'll find snaps of a number of homemade meals - from pastas to salads - as well as a smattering of eats from Toronto restaurants like Hibiscus Cafe and Kupfert & Kim. Tori's Bakeshop, a Beaches outpost, is well-loved by the vegan community for its mouthwatering baked goods and savoury dishes. The shop's Instagram features a selection of photos (taken by staff and customers) of the best that they have to offer. Expect to see tons of cupcakes, salads and coffees. Murrs Menu flaunts a wide range of dishes, with raw, cooked, savoury, and sweet options. Upon following, expect your feed to blow up with photos of delectable plant-based meals like raw zucchini pasta, acai bowls, and mini pizzas. If you want to check out her recipes, head to her blog. 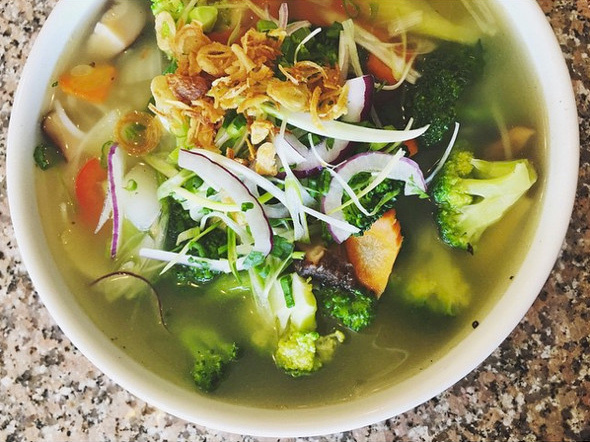 The Viet Vegan posts pics of simple and delicious home made meals, from pho to avocado toast. She also searches the city for vegan eats, finding comfort foods like vegan kimchi fries, Bi Bim Bap and ice cream from Bunner's. For recipes, check out her blog by the same name. If you want to fill your feed with freshly picked fruits and vegetables, follow rawcology. 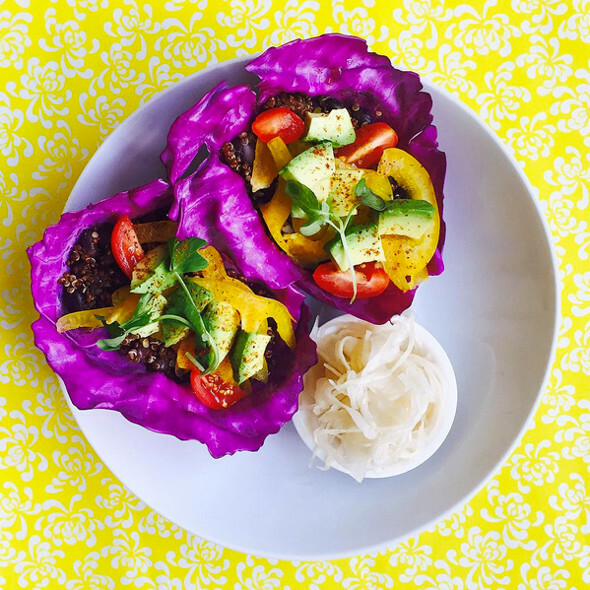 Tara Tomulka's feed is filled with colourful meal options that will have you eating the rainbow. You'll find snaps of everything from blueberry cheesecake bites to maki. Check out her blog here. What did I miss? Add your favourite account in the comments.